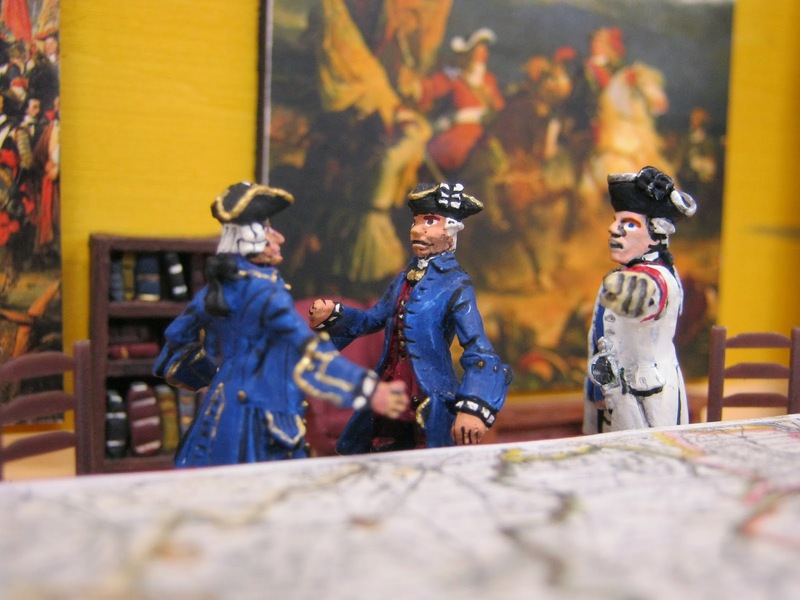 In mid-April 1757 a French Advance Guard entered northwest Germania. 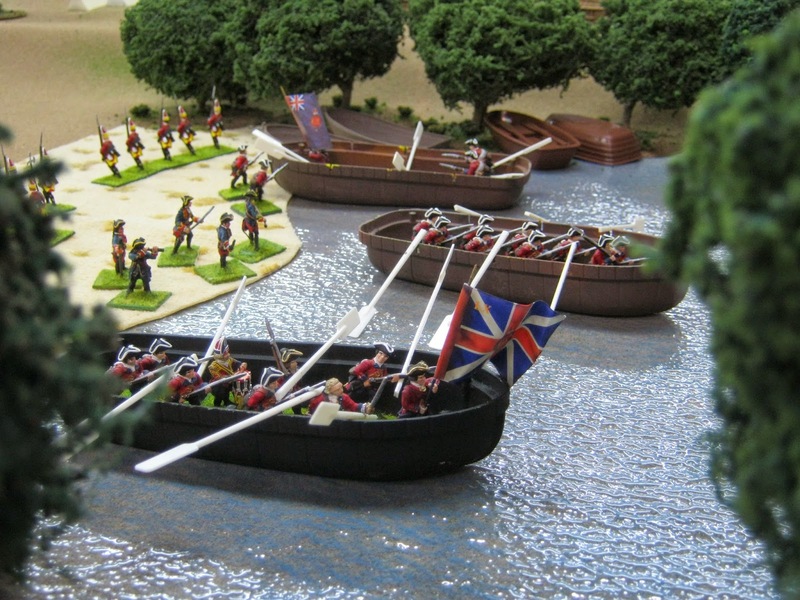 It's mission was to capture Hanover offsetting the probable loss of Canada where Britannia's King was bent on the capture of that French Colony. Tucked in northwest Germania, Hanover was a vital interest for George II. As Elector, the Britannian Monarch would not abandon his property. 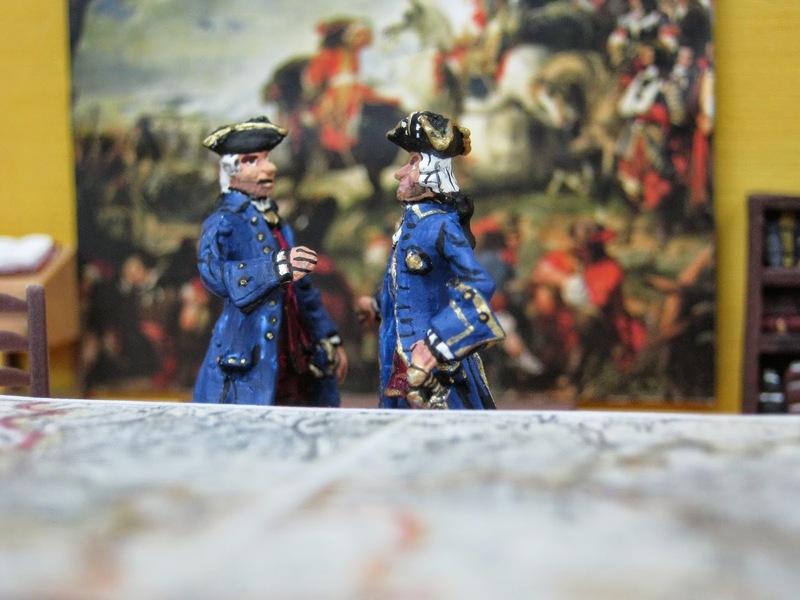 Secondarily, in late 1756, the Marquis of Brandenburg had violated Saxony. This brought Austria to the aid of the Saxons and with that also Louis XV. A new war had therefore begun. Let us turn back the clock to learn what happened. 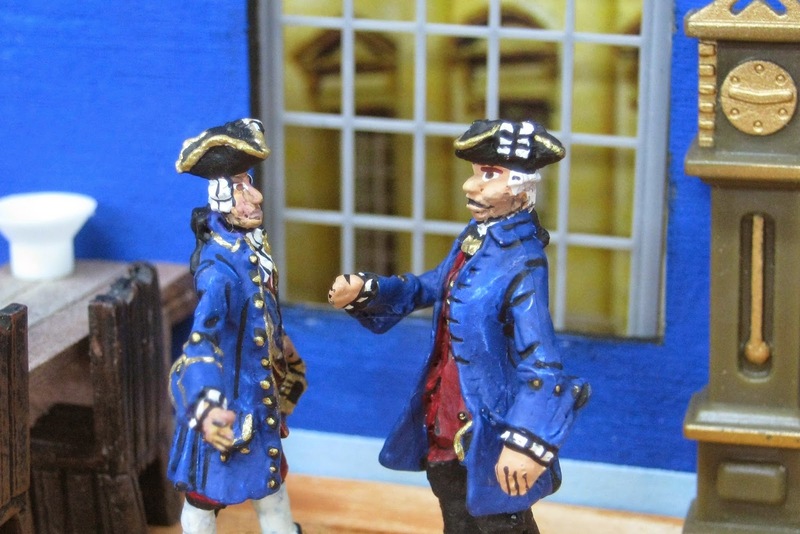 Prince de Charade (left): "We are in the morning of a fiery world war my dear Broglie. What it will ultimately consume is any one's guess." Lieutenant General Broglie: "Oui. The spark which flared in Canada that strangely spread to Saxony will next inflame northwest Germania. I could not have predicted it. Was there little evidence of the coming conflagration at the Foreign Ministry?" Charade: "Nothing unusual though I suppose Britannia sending regulars to the American Colonies two years ago with our similar countermeasure may someday be viewed as the ignition point." Broglie: "Flint and gunpowder too close together. Well. --- Here arrives Lt. 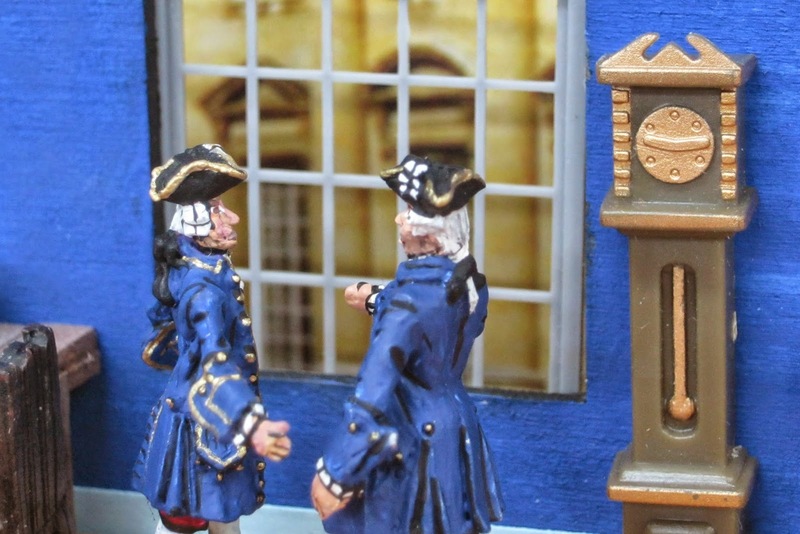 Colonel Audace just returned from Canada to offer revelations about our Britannian adversaries. We'll need his knowledge when we encounter them next - this time east of the Rhine." Broglie: "Tell us your news Colonel, if you please." Charade: "We are in earnest to learn from your experience in North America Colonel." Audace: "Avec plaisir. (With pleasure) Two years ago...."
Audace: "After a dispatch arrived at Montreal saying Britannian forces had arrived on the south shore of Lac Ste. Sacrament, available forces assembled at Fort Saint Frédéric under my command. We canoed south on Lac Champlain, portaged to Lac Ste. Sacrament and debarked on its mid-west shore. A march of only a day brought us to the rear of the Britannian camp where our allies began our attack." Audace: "I was astonished at the zeal of our allies and milice (militia) as their numbers swelled." 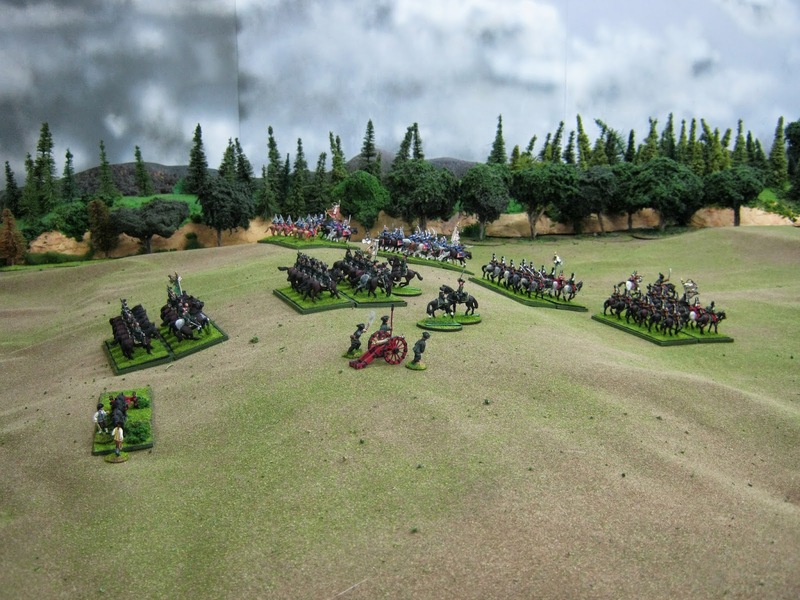 Audace: "Our left flank engaged the rangers of Major Rogers backed by two companies of grenadiers." 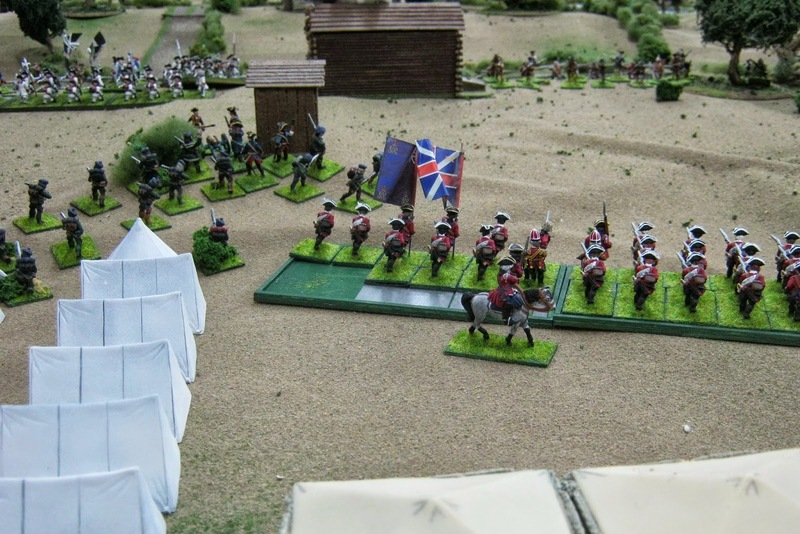 Audace: "The Britannians stood their ground amazingly. 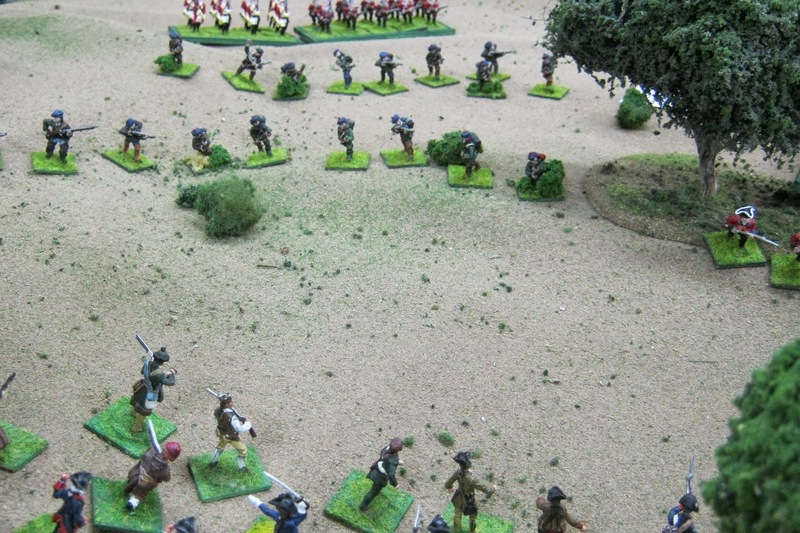 After a time the 44th Foot with the 60th to their right fell back to consolidate their line. By this time their light forces and ours were mostly spent. 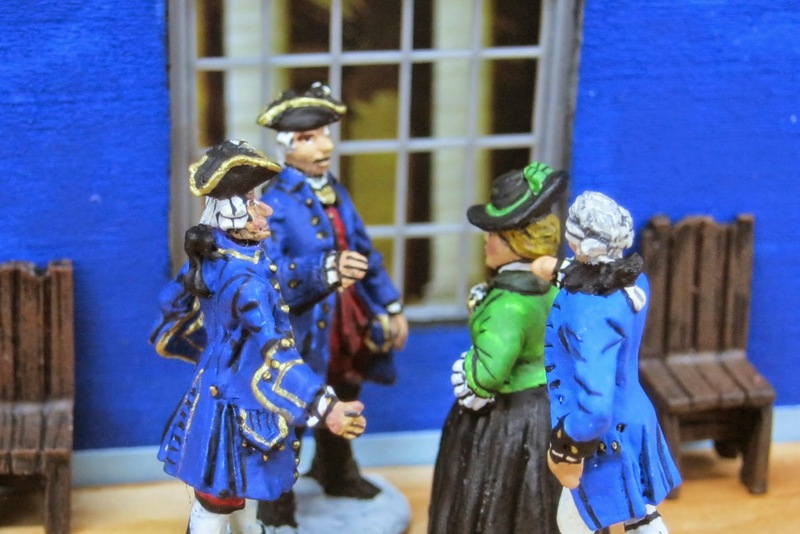 Fortunately...."
Audace: "My own Régiment de la Reine then arrived." Audace: "La Reine advanced as the Britannians retired a bit more. Some of our milice rallied behind me." Audace: "The foe fought well but fate frustrated them cruelly." Audace: "The 44th withered under the constant fire of our milice and finally La Reine. More than 75% were casualties when the remnant broke for their whaleboats." Audace: "Rogers filled the void." 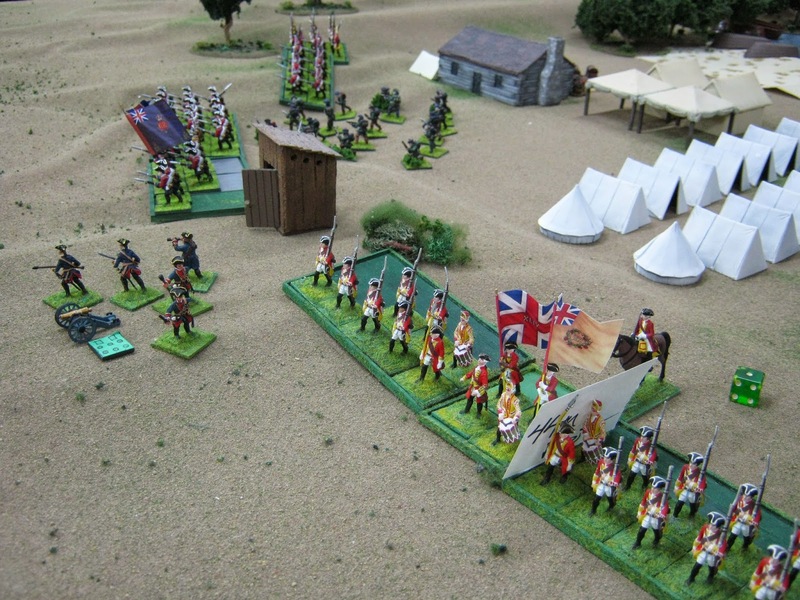 Audace: "While the Britannian Grenadiers marched to assist them." Audace: "They fell back a little more. We followed for the final moment. Our losses and theirs were frankly very high. Another course of action seemed best to prevent the further effusion of blood." Audace: "Certainly with losses, their mission was foiled. Had I pressed forward, we would have mutually destroyed each other and to what point? I thought the time right for...."
Audace: "A parlay. I refused my opponent's sword. His men had fought well." 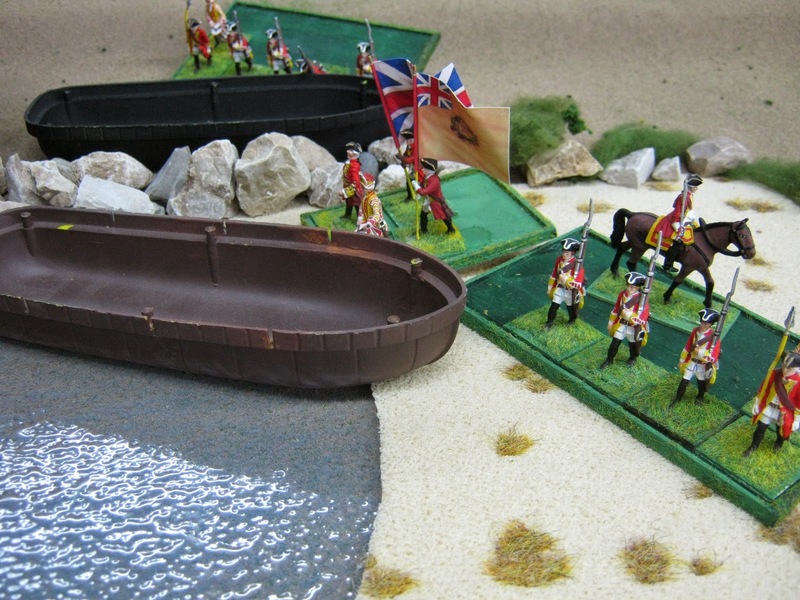 Audace: "I agreed to grant the honours of war if they boarded their whaleboats to return from whence they had come - back to the north shore of Lac Ste. 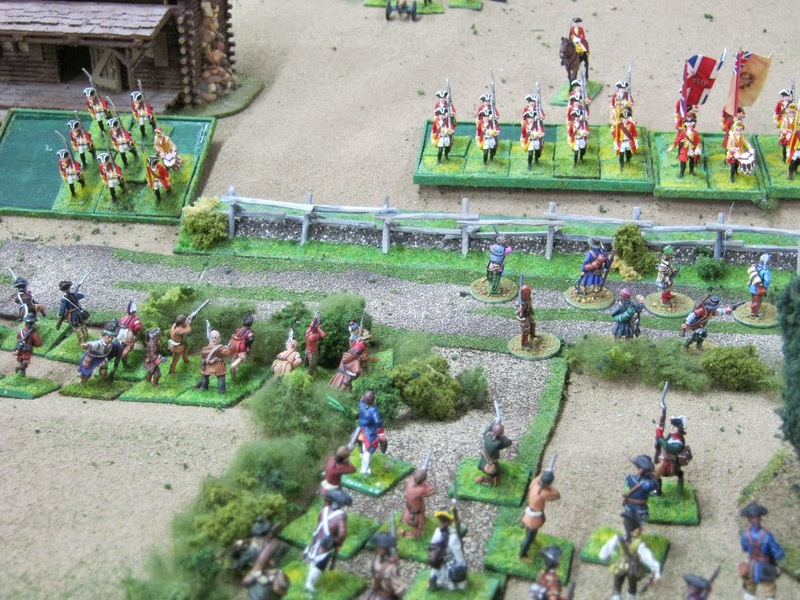 Sacrament and march south overland to their nearest fort. 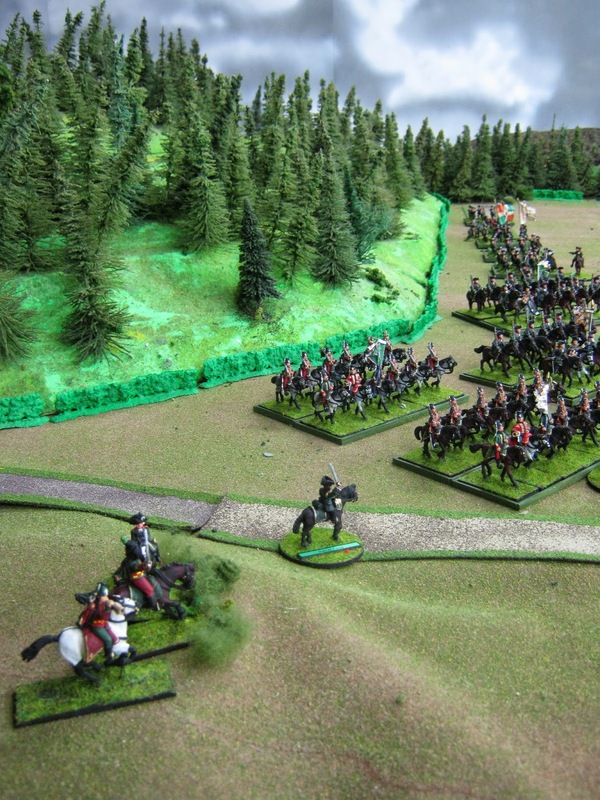 Thus, the Battle of Lac Ste. 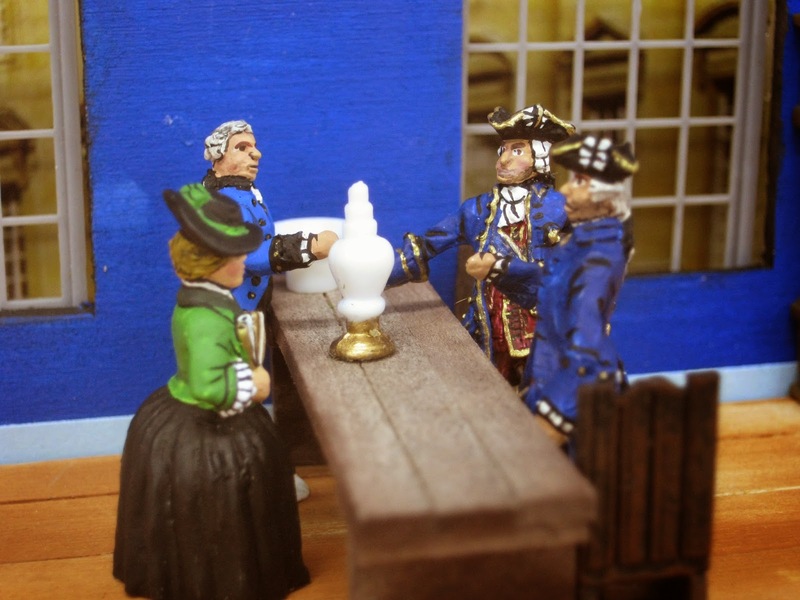 Sacrament ended with no one gaining ground for the rest of 1755." Audace: "They were solid adversaries Minister and General." Broglie: "I expected as much." Charade: "Thank you Colonel. We appreciate your analysis, Now, if you please, will you join us for refreshment? André here has set a superb table." Broglie: "Madame and l'Comte de Courage have requested a moment to make an inquiry." 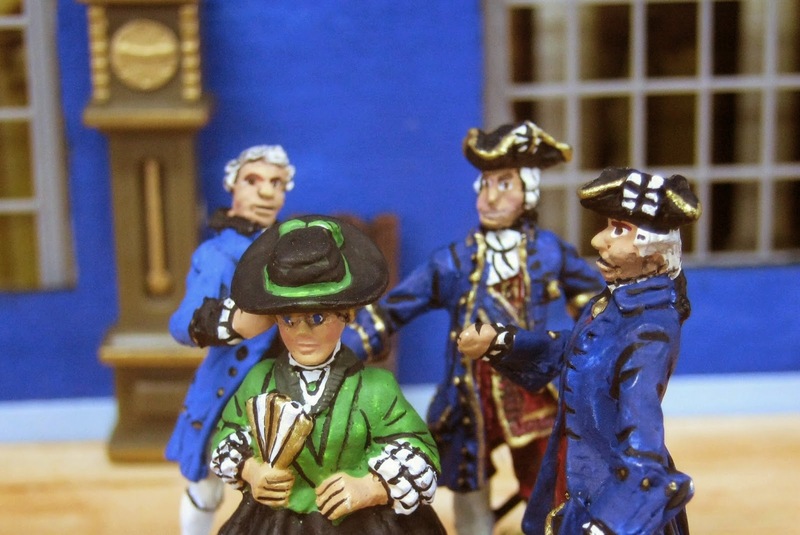 Madame Courage: "Monsieurs. Merci for this courtesy. My husband and I have come to inquire about our missing daughter Silhouette. She was in Dresden last October with her particular friend Lady Diana Pettygree when the Marquis of Brandenburg invaded Saxony." into Austria; from their Foreign Ministry perhaps?" Charade: "I beg your patience Madame et Monsieur. We know this." Charade: "Your daughter (pink) and friend were part of the exodus out of Dresden when the Brandenburgers crossed the frontier." 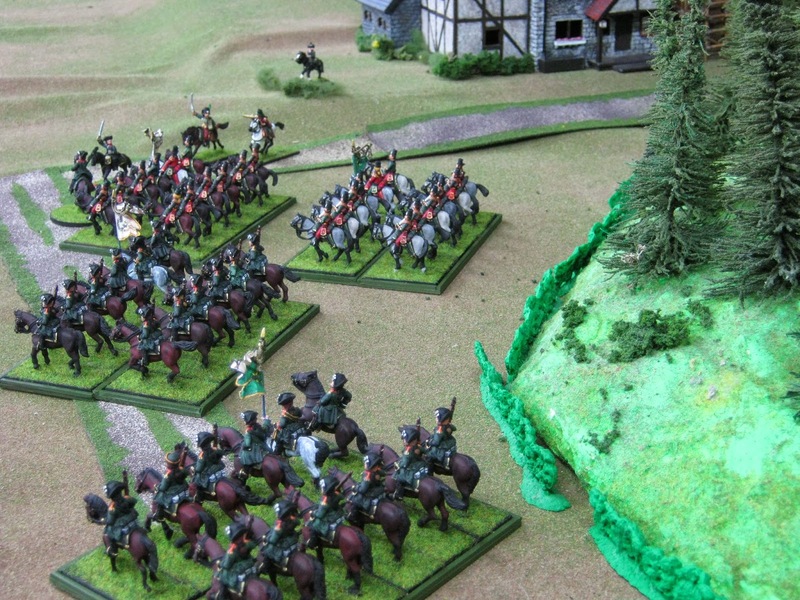 Charade: "Spotting the Rutowski Chevaulegers en-route to the Saxon entrenched camp at Pirna...."
Broglie: "Your young women boldly stopped the march inquiring of the surprised Colonel if they might accompany the regiment. Naturally he agreed. All arrived safely in the camp. Beyond this there is nothing we can tell you." Charade: "We beg your forbearance. As soon we can tell you anything, we will contact you." Comte de Courage: "We are desperate Monsieurs to learn the fate of our Silhouette. Mademe Courage: "We will take our leave now. Merci." Charade: "Do you believe our obfuscation worked my dear Broglie?" Broglie: "I hope so --- for the sake of the young ladies and...."
Meanwhile the French Advanced Guard crossed the Rhine and headed for Hanover. 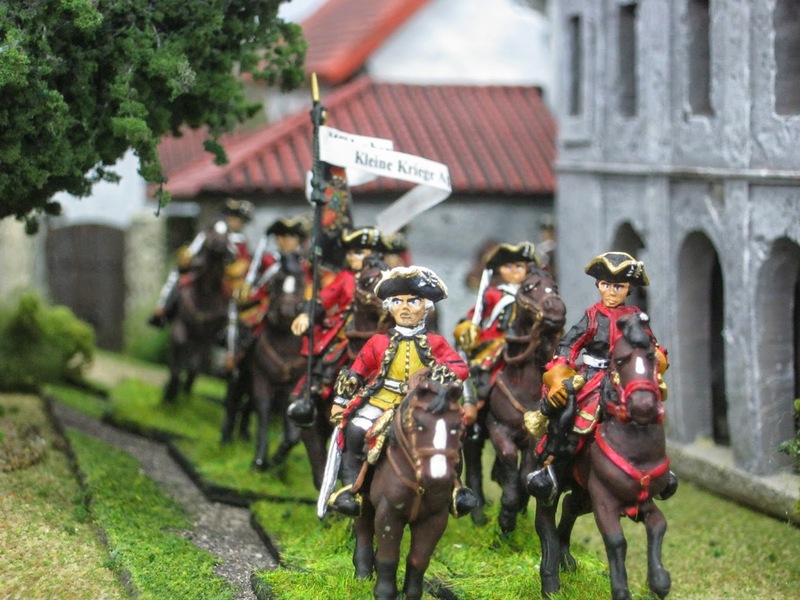 Cavalry of the Legion de Fischer discovered the foe approaching the village of Hamelburg yesterday. 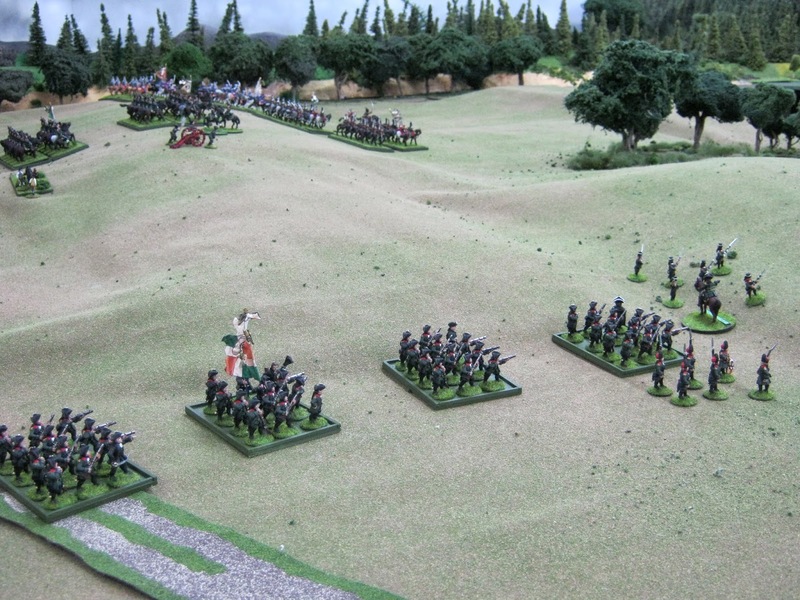 Brigadier Fischer therefore ordered his force forward to position themselves atop a long ridge near the hamlet to observe and if necessary slow the enemy until the Main Body of the French Army arrived. One of the two Legion battalions pauses on the road before the march to the ridge. 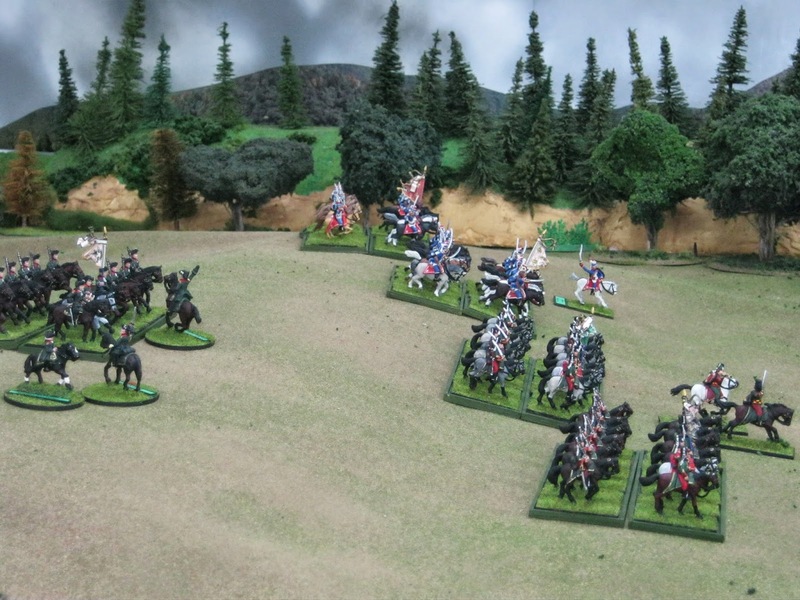 Light cavalry, anxious as you may imagine, wheels left by squadrons in preparation to ride toward the ridge and beyond. All march forward. Hamelburg is off image to the right. The road shown leads there. Hamelburg is a vital road junction. 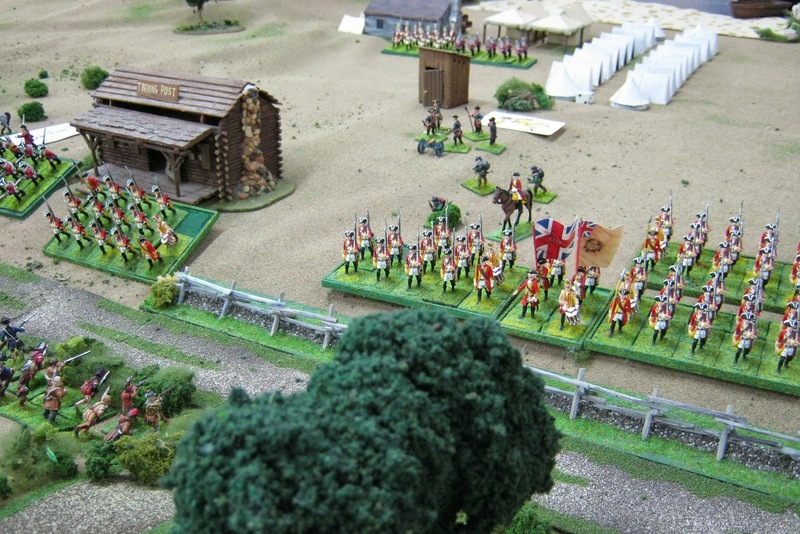 Brigadier Fischer near a light 4 pounder closely observes his horsemen move farther forward. It is a formidable force. 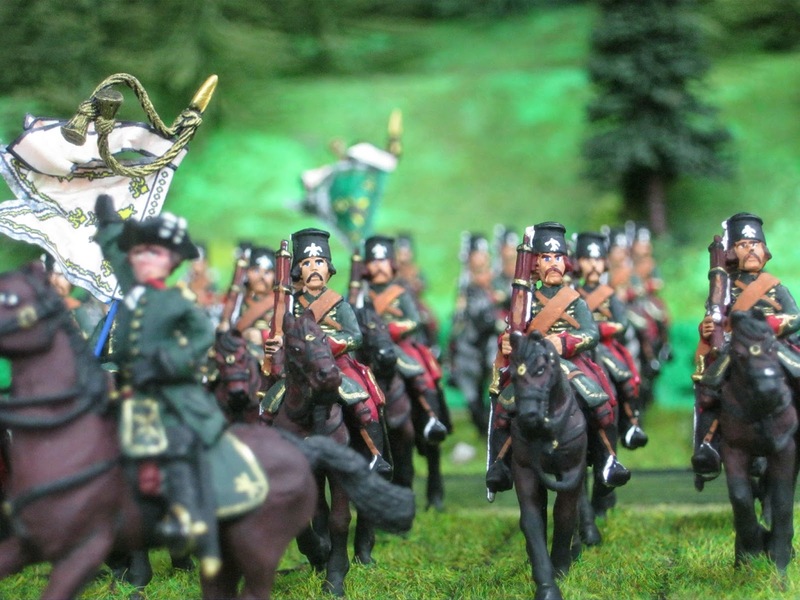 All told there are two squadrons of Chasseurs a Cheval, two of Dragoons and two hussar squadrons led by Colonel Bercheney. Even more are coming - expected to arrive on 3 May 1757. Will they be in time to stop the enemy? 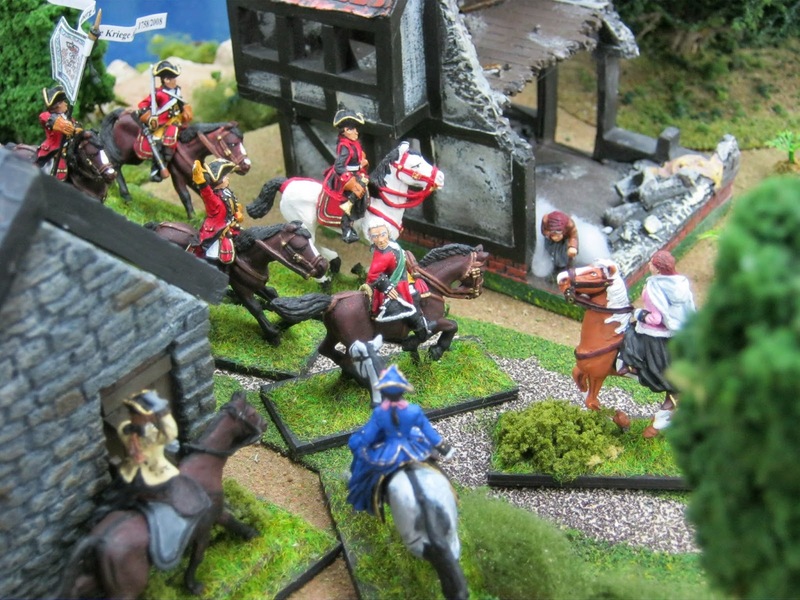 1) Our regional gaming group finished gaming the SYW in 2013. It took us seven years real time. During final games we decided to restart it again calling it Cycle II. 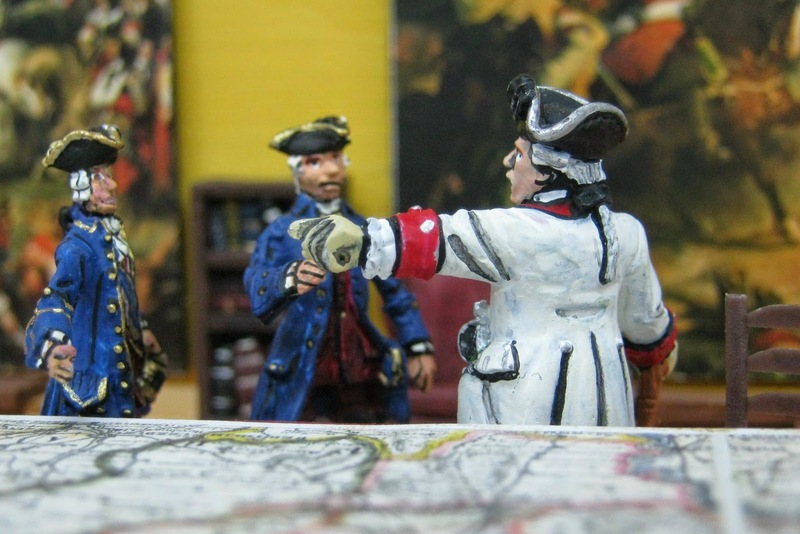 2) In mid-February 2014, Frederick II invaded Saxony. 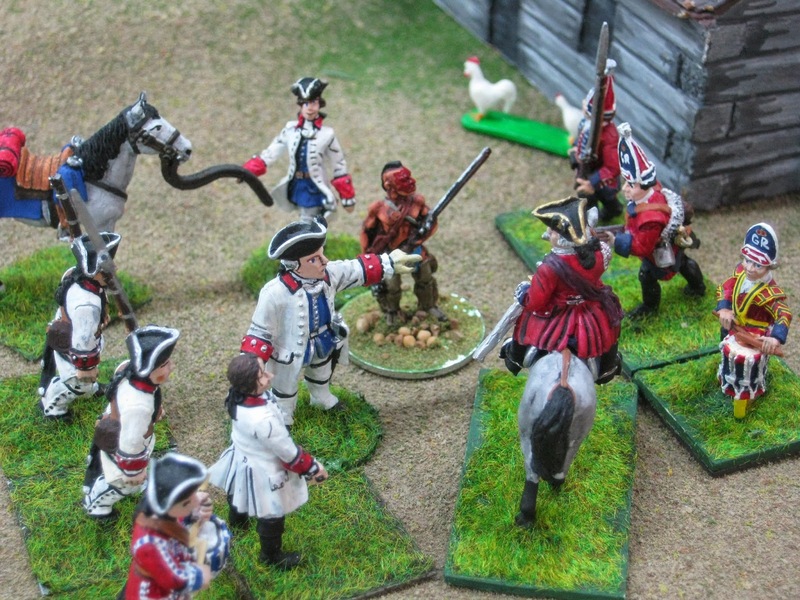 We played a 1:20 game which many of you saw on the blog of Der Alte Fritz and also on Campaigns In Miniature. 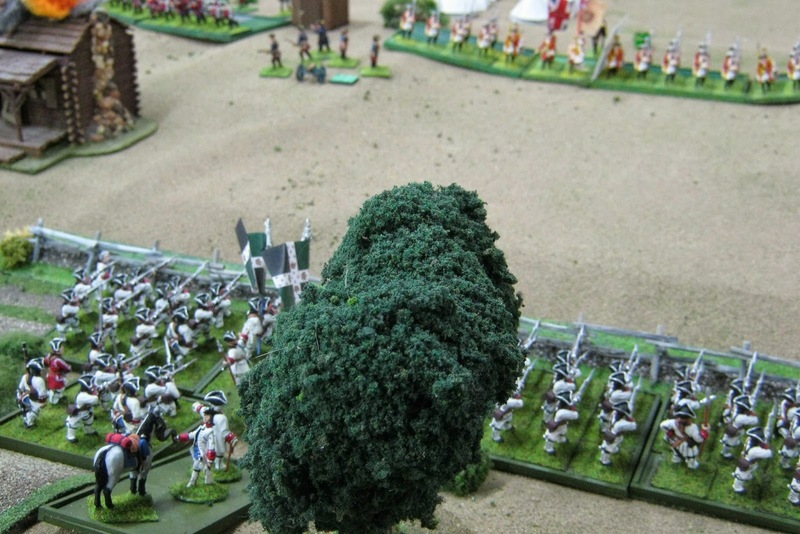 This time some Saxons were able to escape the entrenched Camp of Pirna. Historically they did not. 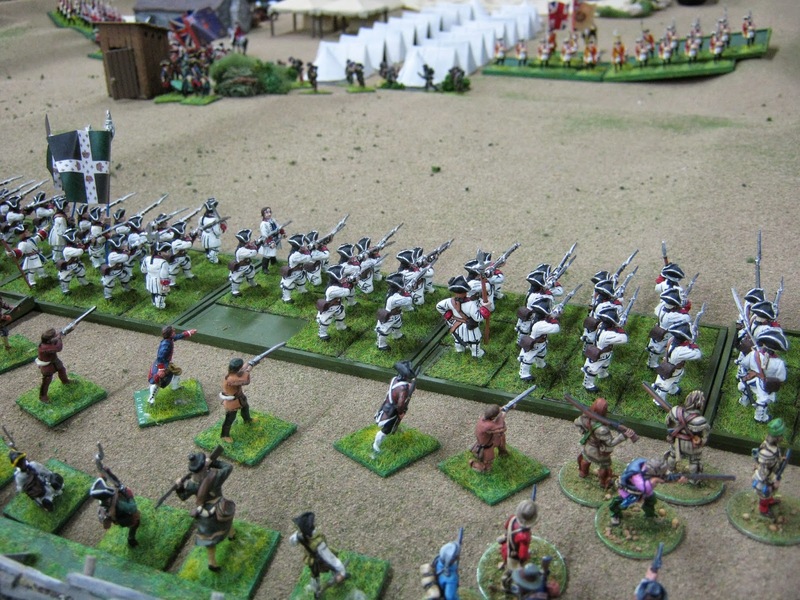 3) During April 2014 our local group of weeknight gamers played a three session French and Indian Wargame depicted in the above story. 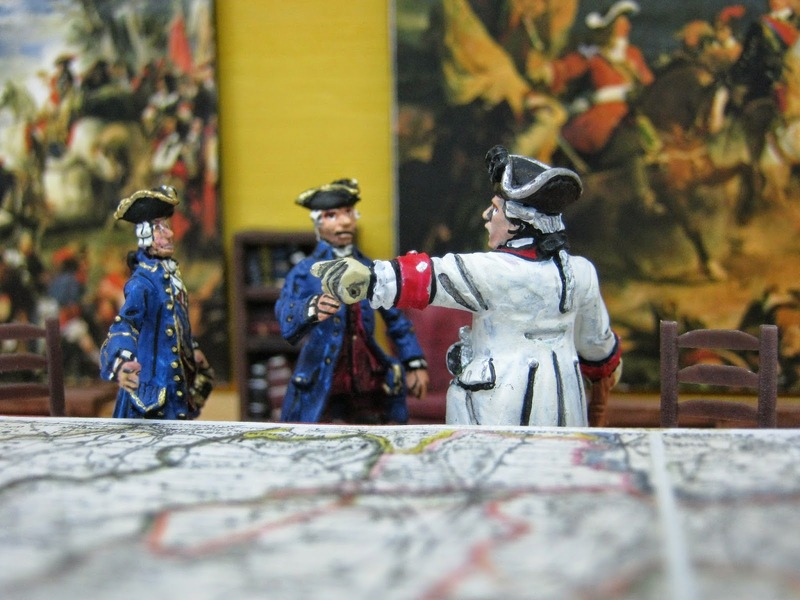 We used Batailles de l'Ancien Régime 1740-1763 at 1:10; probably 100 miniatures per side. BAR is not just about BIG battalions or BIG games. 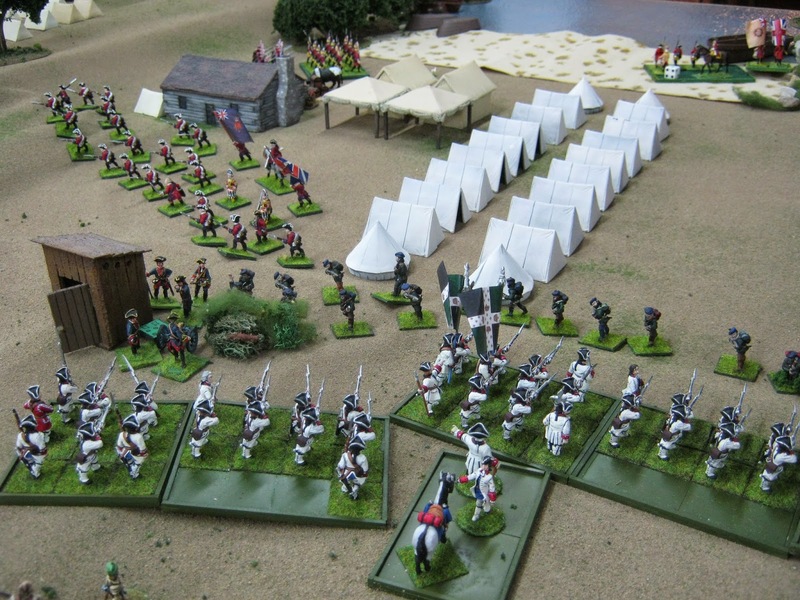 4) May 3, 2014 is my Annual Birthday Game Day featuring the Battle of Hamelburg designed by Der Alte Fritz, Jim P. of Fife and Drum + Minden Miniatures. 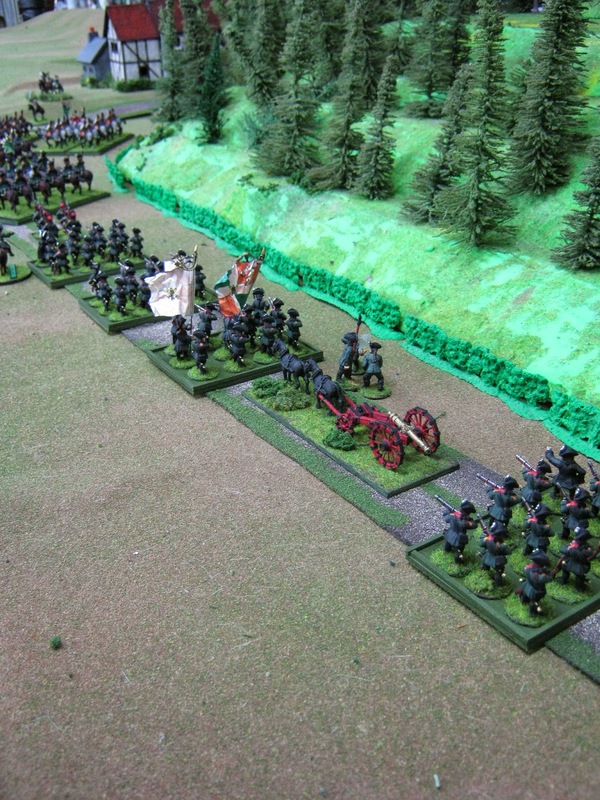 You have joined us early as part of Fischer's Advance Guard debouching onto the field left of Hamelburg. I wish you could be present for lunch and the scrumptious birthday cake. 5) Thank you for looking in. Your remarks are welcome at "Comments" below. I beg your forbearance advising there will be a short delay before your remarks will appear because of an indefatigable spammer. Nothing that individual writes will ever get through. Confusion to that foe! Fantastic photos and stories! I never fail to be amazed by your blog! So delighted to see you embark on a Cycle II of the SYW. I'll be following along closely. 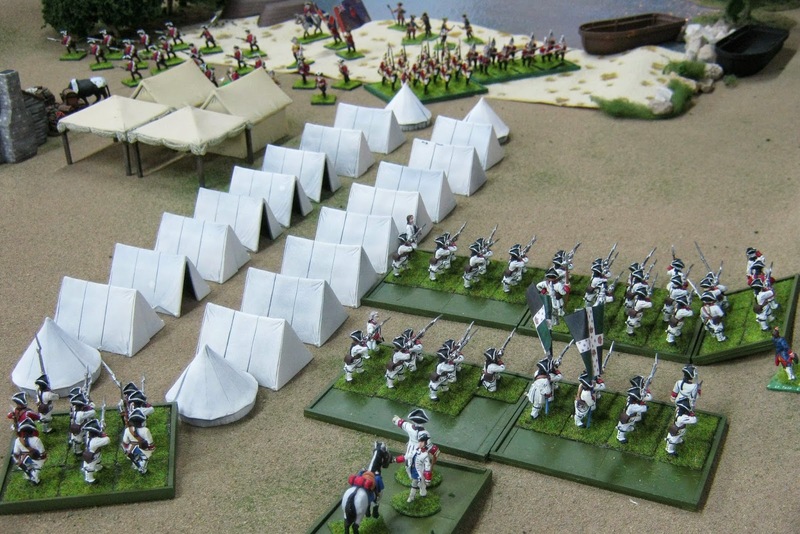 Your first photo, the French Advance Guard, is splendid! Agreed! Just the thing for an early Monday morning. Eager to see things develop further. From famine to feast! All those images and the account make for a wonderful report! 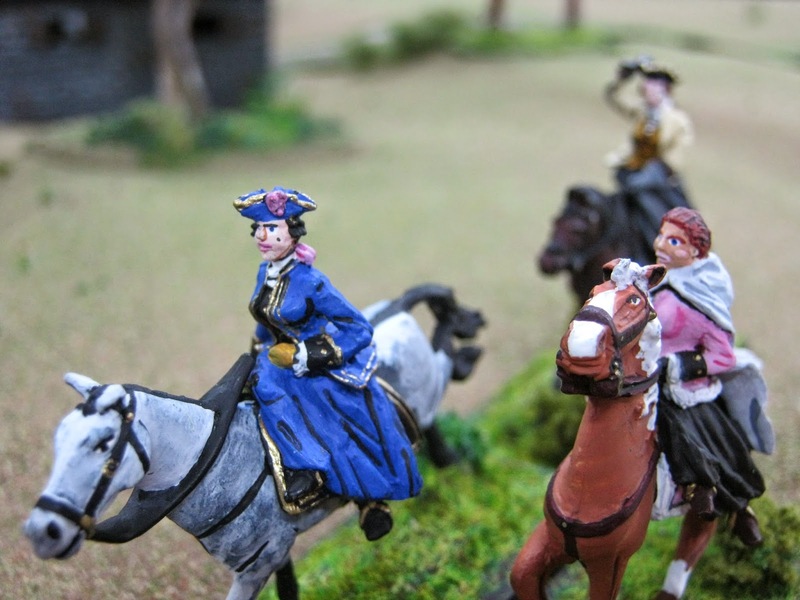 Excellent post, I love this work : beautiful minis and pictures, very atmospheric! 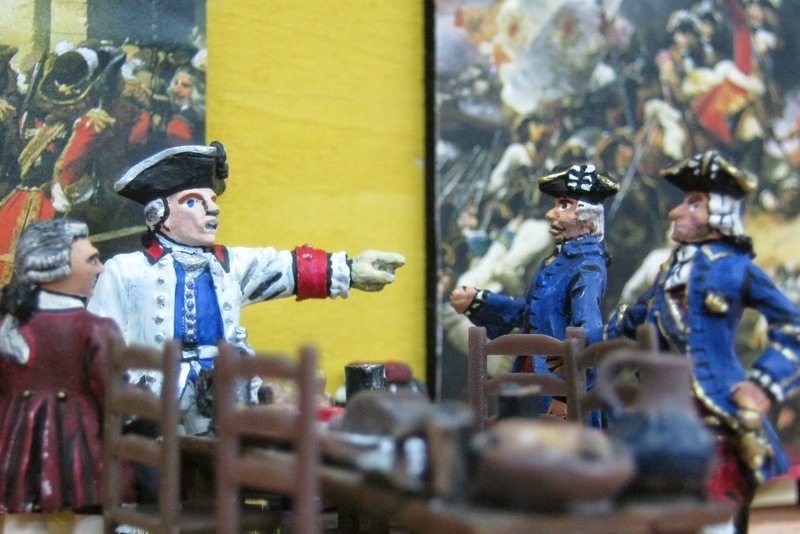 I love your photo-stories of the events and battles of the period. I look forward to enjoying them throughout the next several years. Great start to the campaigning season. I hope to have a SYW game later in the summer. Maybe it can augment your endeavours as mine will be held in Thuringia. Colonel Audace is a veritable giant among men, but it works. 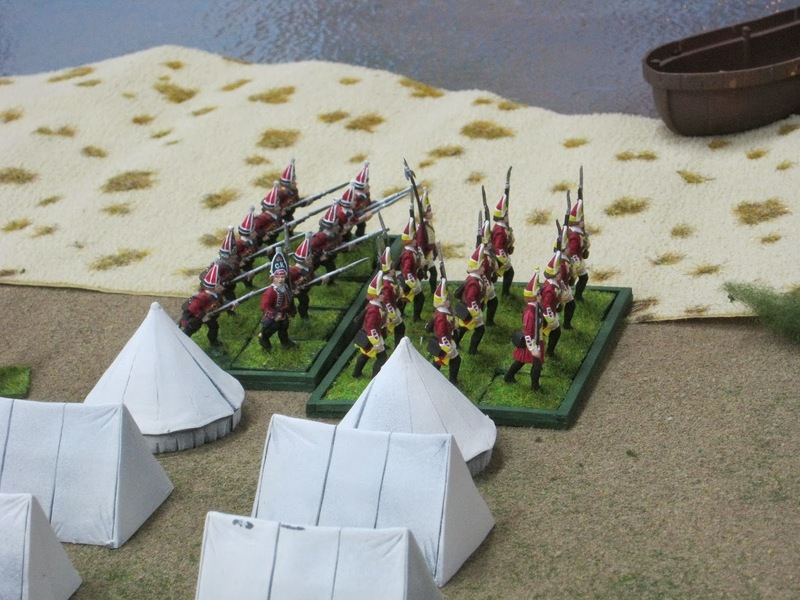 I like how you have blended the different sizes of "25mm" figures without making anybody look out of place. The maneuvers of Fischer are very pretty to see. I've lately had the SYW bug restarted by the SYW convention, so it's nice to see them trooped out in your usual excellent style. The coming clash should be interesting! John, Jim, Stokes, A.J., Phil, Jeff, Jim, Robert and Skyline Spirit, I sincerely appreciate your reflections and compliments. Thank you very much! Jim: Yes a collaboration in Thuringia is a great idea. Let's do this. Fun idea.